I never miss an Amorim Recorking gig. Not that I want to indulge in the delicate opening of rare vintage wines with crumbly corks that need to be extricated with the skill of a brain surgeon and the patience of space-shuttle pilot in landing mode. 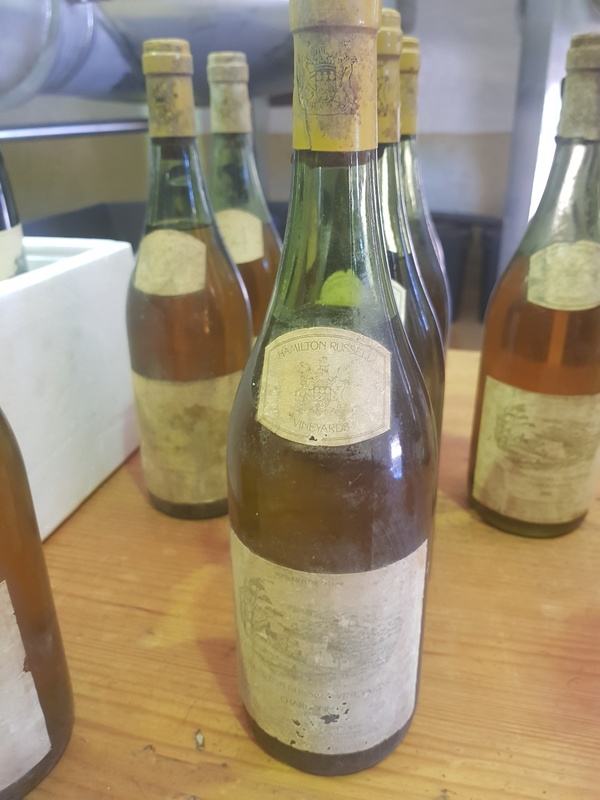 But whenever the Amorim team sets-off to put new corks in old bottles, one gets to taste the contents that have been slumbering for three, four decades. 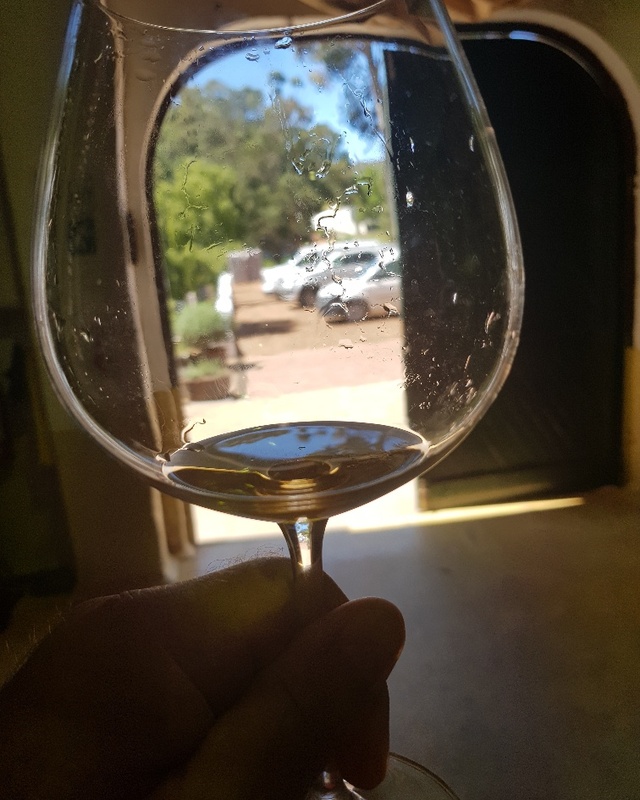 Last week saw the team head for Hamilton Russell Vineyards in the Hemel-en-Aarde, the request being to bang fresh corks into some old Chardonnays and Pinot Noirs. Currently the 1980’s seem to have been just the other day, my shoulder-padded jacket and mullet not that distant a memory. But when I held those bottles of Hamilton Russell Chardonnays and read the years 1983, 1984 and 1985 on the weathered labels I knew that this was some time ago, and no use reminiscing because nostalgia just ain’t what it used to be. While Amorim MD Joaquim Sá and Hamilton Russell winemaker Emul Ross painstakingly removed the old corks, put the wine under gas to prevent oxidation, freshened-up the bottles with new wine and sulphur before banging in a brand new Amorim torpedo, I analysed the wines. Granted, like some good things from the 1980’s – think Spandau Ballet, Tracey Ullman and permed-hair – the 1983 Chardonnay from Hamilton Russell was past its prime. There was some oxygen in the bottle, but the pH had collapsed, the esters had gone awol and acidity was as dead as President Zuma’s political future. But I cut straight to the 1985 and this wine had me remembering that there are still some aspects of the 1980’s worth jumping about for. This would include Pop Goddess Sadé, the ever-green acting of Al Pacino and narrow ties that are becoming trés fashionable once again. For this Hamilton Russell Chardonnay was a beaut, and for so many reasons I found myself teary-eyed at the class of this wine. First-up, a tribute to the gritty, hardy soils that were used for grain and sheep-farming before Tim Hamilton Russell decided to peg-in the Chardonnay and Pinot Noir vines and create a new wine culture in South Africa. Then the ability of Chardonnay to evolve and undergo a total change in personality underscored my belief, once again, that wine is like the great song by the Electric Light Orchestra says: A Living Thing. 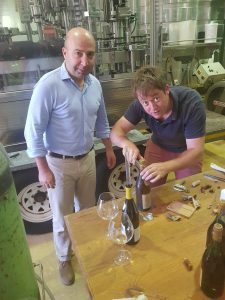 The Chardonnay was golden and deep, a colour I know that Anthony Hamilton Russell, aesthetically blessed proprietor of the estate, struggles to get to grips with. 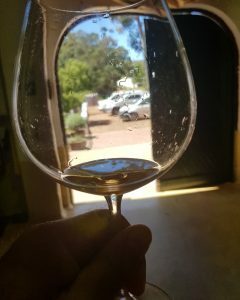 But despite being mature to the eye, the 33 year-old wine itself was fresh, complex and multi-pronged. On the nose, a good whack of fynbos honey offset by new calfskin leather. As these older wines go, the nose is usually older than the palate and this was truly incredible. A viscosity had developed allowing the wine to ooze past the lips, coaxing the palate with a glycerol-like texture. And here it stayed, projecting all depths of wonderful and thought-provoking energetic flavours and nuances. The acidity was fresh, lean and brisk as a Roger Federer backhand. Leading the charge, this citrus-peel liveliness developed into dripping honeycomb, crushed potpourri made from budding Namaqualand succulents, a bit of burnt Crete baklava and a beguiling, captivating heady flood of gushing tidal-pool seawater. This was four days ago. How now back to earth after such revelatory magnificence?